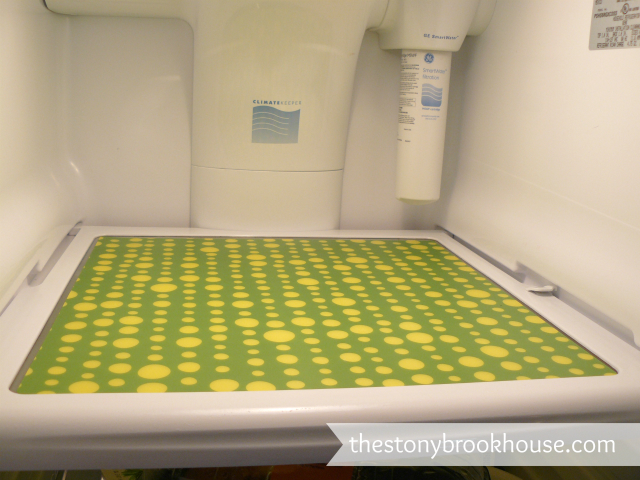 These fridge mats are so adorable!! Am I so desperate to decorate something, that I decorate my fridge? Yep! I guess so! I have to tell you that this was not my plan for tonight's post. The plan was to do another awesome frame post! I had this idea, but I needed Hubby to cut something out for me. Well, that plan was supposed to happen this afternoon when we got back from working at the apartments. When we got back I showed him everything I wanted. So good, so far! He said no problem! Oh wait...The saw is at the apartments! Really? Are you kidding me? We were just there! Ugh! Ok, another day.... Hubby is overnight two nights a week, so that means, it won't be happening til this weekend. (If I'm lucky.) We'll see. 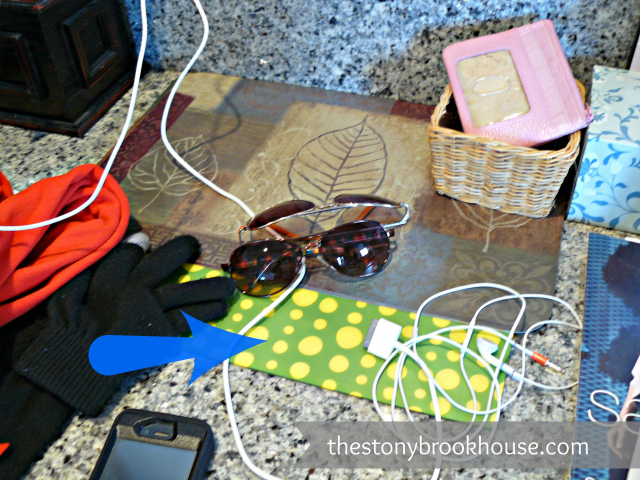 These things have been on my counter since we went to IKEA back in February. Anyway, they are just plastic placemats. The neutral ones on top I picked up at the Dollar Tree, but I was going to have to cut and tape them together to fit my fridge. 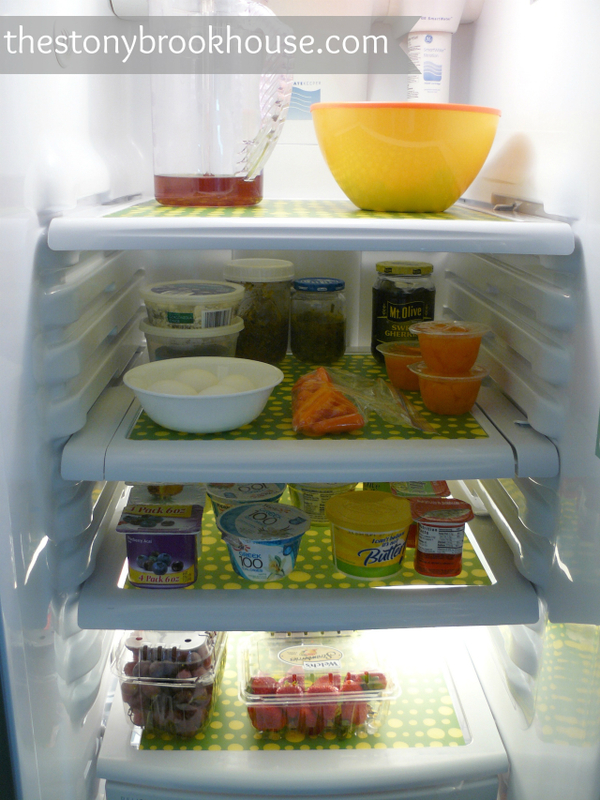 So, when Hubby and I saw those bright and springy ones at IKEA it was a no-brainer, plus they were more square like my fridge shelves. These will be nice and easy to clean. If there's a spill, I can just take out the mat, clean it up and slap it back in. 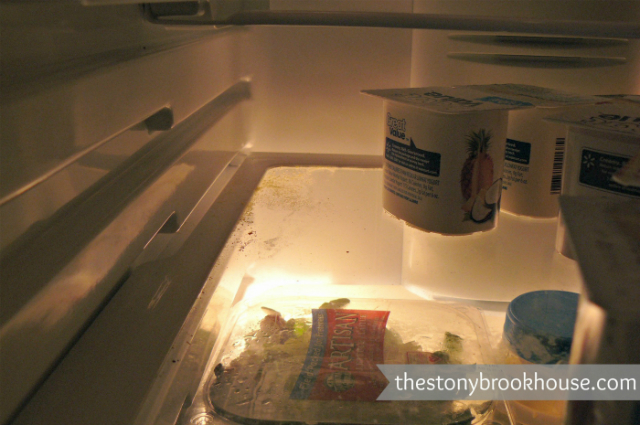 I took a peek in the fridge, to start this little project only to find this nastiness... yuck! I don't even know what that is. I don't want to know. So, I guess I'm cleaning the fridge out tonight too. The first shelf I did, was super duper easy. Cleaned it up took the sticker off the back and slapped it down. It fit perfectly! No kidding! The first one was so easy, I only had to do a bit of trimming on the rest. 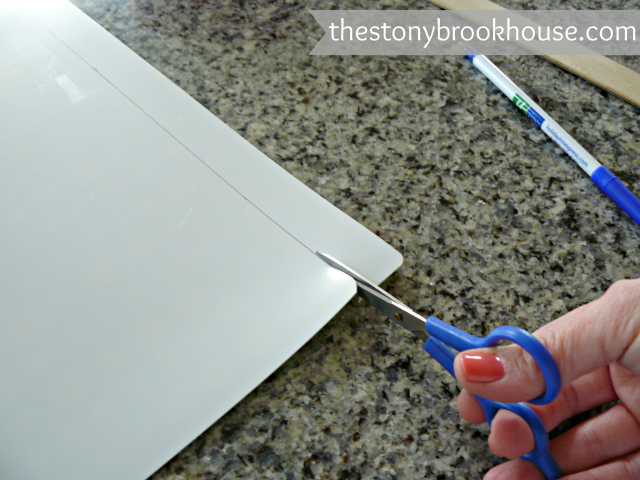 All I did was mark it, measure it, draw a line and cut. Okay, all done! Awesome, right?? I really love the way it makes the fridge look so clean and fresh! The items seem to pop off the shelves. Now, do you think I'm nuts for decorating my fridge? 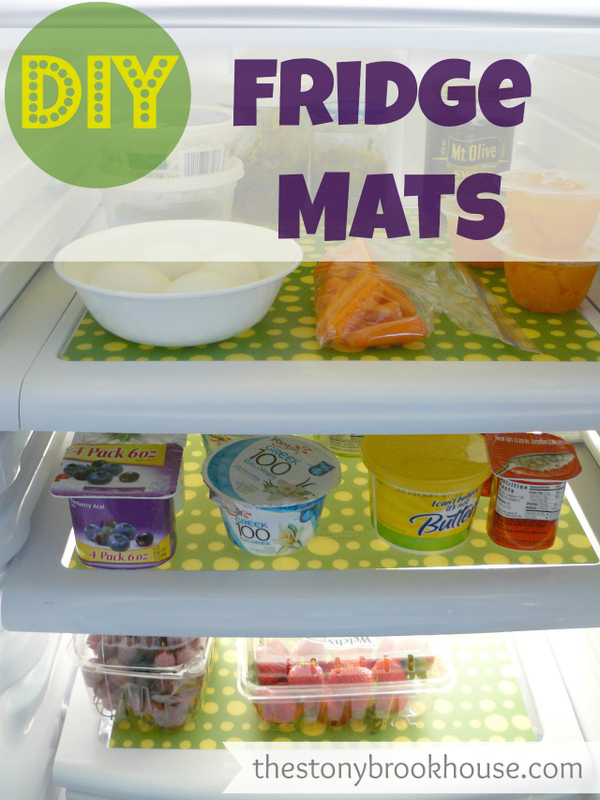 Grab some placemats and freshen up your fridge! DIY Laundry Detergent ~ New & Improved! !